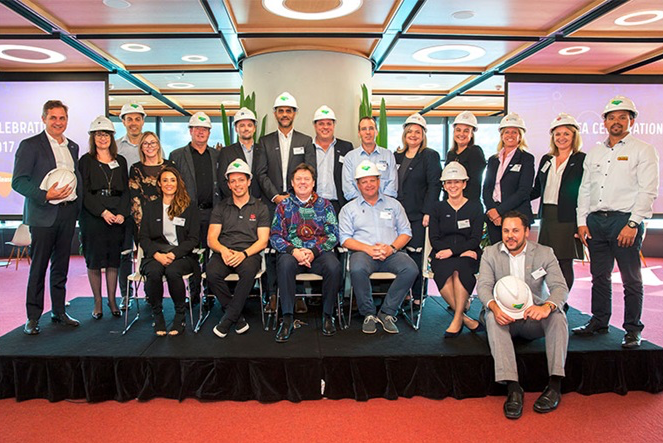 Eight Indigenous-owned businesses, including ARA Indigenous Services, have signed Memorandums of Understanding with Lendlease during NAIDOC Week. This indicates their agreement to participate in our Gymea Indigenous Supplier Diversity Program. The Gymea program has been developed to support the emerging voice of Indigenous businesses who are driving a business culture that promotes equality, flexibility, wellness and respect of land and environment. Lendlease will work with selected suppliers beyond project to project contract relationships, to develop long-term partnerships that will drive social and economic outcomes for them and the wider community.